Enjoy lots of wild, new ways to celebrate fall from spooktacular activities to amazing animals and pumpkins galore. We've added four additional days to include Thursdays, plus our newest Halloween experience awaits inside Pumpkin Town. Our beloved fall event kicks off October 4th and continues every Thursday through Sunday all month long. The Zoo opens daily at 9am, so come early to visit your favorite animals, before the event activities happen from 2-7pm. The animals offer the perfect backdrop for all the family-friendly fun. Enjoy extra animal keeper chats and Halloween-themed animal enrichment. Kids are encouraged to wear their favorite, wild costumes and bring a reusable bag to collect a few treats. Allergy-friendly snacks are available and we proudly provide only items that use orangutan-friendly palm oil. 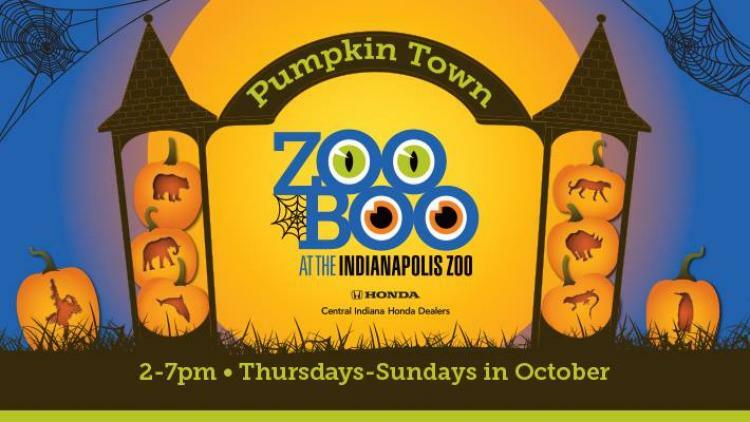 ZooBoo activities are free for Zoo members and included with regular admission.